HERE ARE SOME CUSTOMIZATIONS WE HAVE BEEN ASKED TO MAKE. 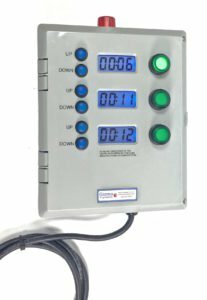 We strive to acommodate the needs of our customers which has produced these interesting variations of our timers. A customer wanted a timer activated by an inductive proximity switch. 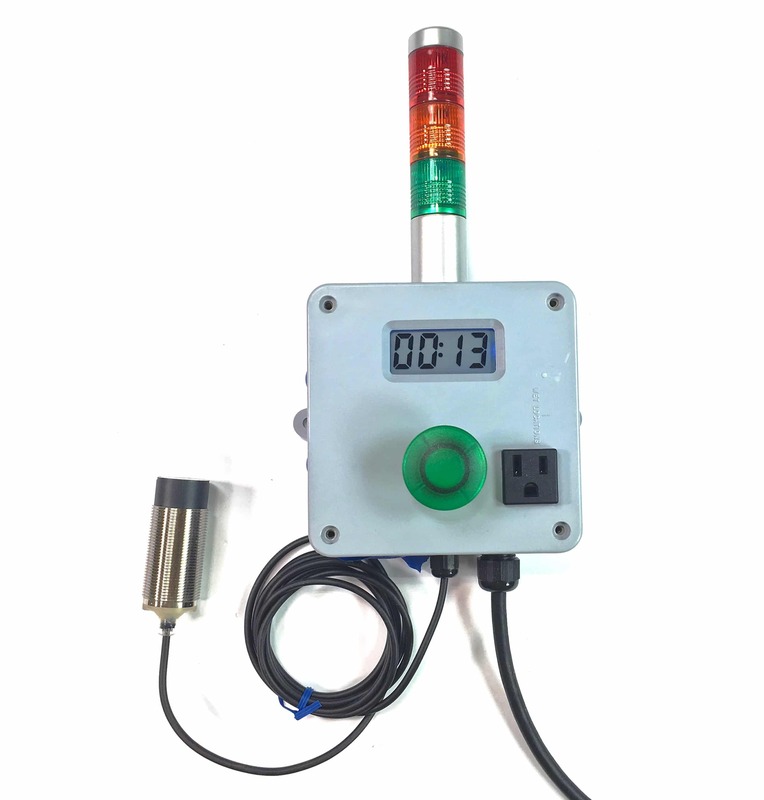 The timer activates when the proximity switch detects any metal. 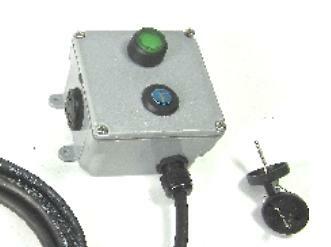 The receptacle on the front is a custom feature that energizes when the proximity switch detects a metal object. 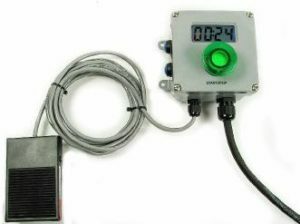 Three independent timer in one enclosure allows the operator to choose the appropriate time cycle. The cycles can be running concurrently. If any of the cycles reach the end, the buzzer and beacon activate. 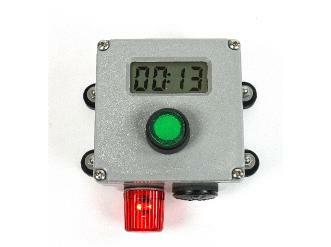 The appropriate button illuminates when a timing cycle is active. Each time cycle can produce a relay output if needed. 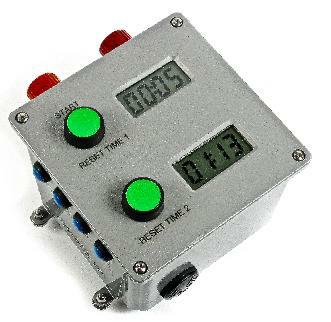 This timer was supplied to the TV show “Deadliest Catch”. They wanted a timer that only people with keys could activate. Still waterproof even with key. Timer is activated with footpedal or front button. A customer in the dairy industry wanted this configuration because the beacon would not be visible on top of the timer box.